Dysregulation of signalling pathways downstream of receptor tyrosine kinases (RTKs) is a frequent event in carcinogenesis. 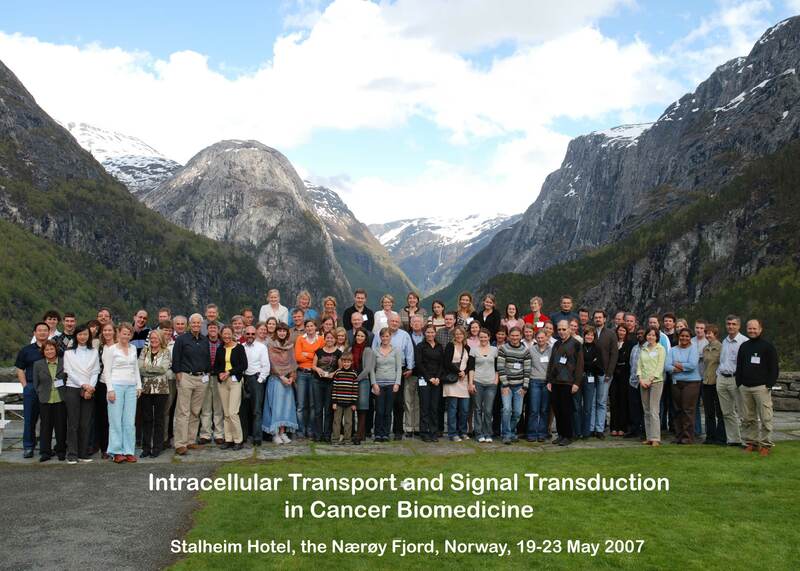 This meeting, the first in a series sponsored by the Norsk Hydros Fund for cancer research, will discuss key concepts of RTK signalling pathways, and how such signalling is modulated by intracellular trafficking. Examples of how proper receptor trafficking has a tumour suppressor function will be provided, and the mechanisms of intracellular trafficking of RTKs and other receptors will be explored. Finally, novel anti-cancer drugs that target RTKs and their pathways will be highlighted. Invited lectures will be given by scientists who are world leaders within RTK signalling and membrane trafficking, and a few short talks will be chosen from submitted abstracts. There will also be poster sessions covering the main topics of the meeting.